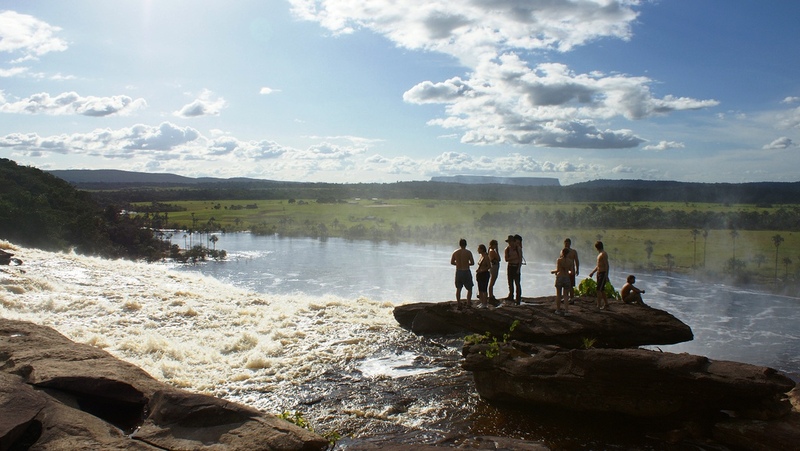 Canaima with his 7 water Falls and the lagoon is a paradise hidden in the remote southeast of Venezuela. 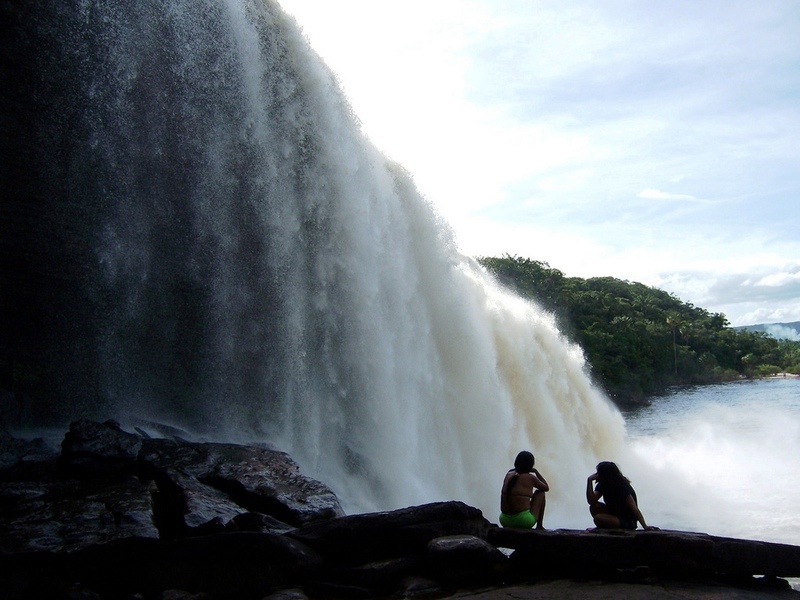 A day tour brings you from Ciudad Bolivar by plane to this marvellous place. 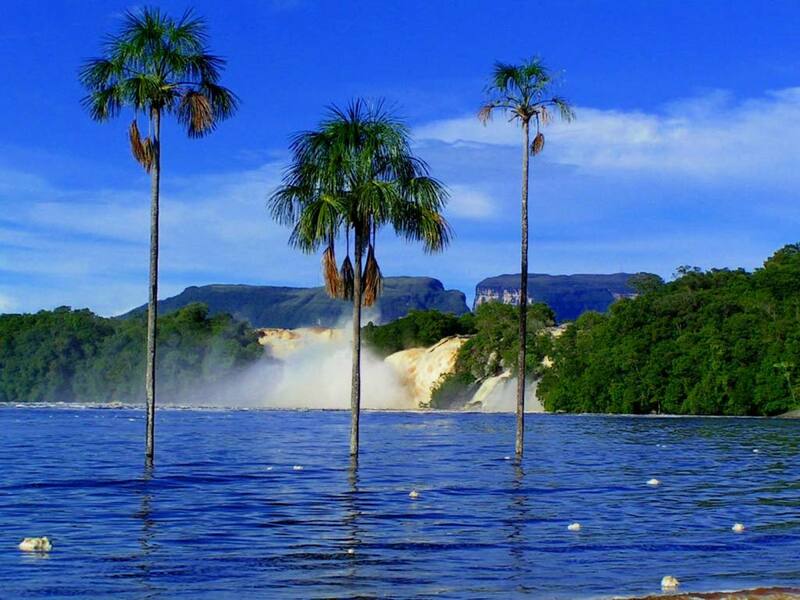 You will be impressed by the water masses, the beauty of the nature and the white beach of Canaima at the foot of Auyantepuy mountain. 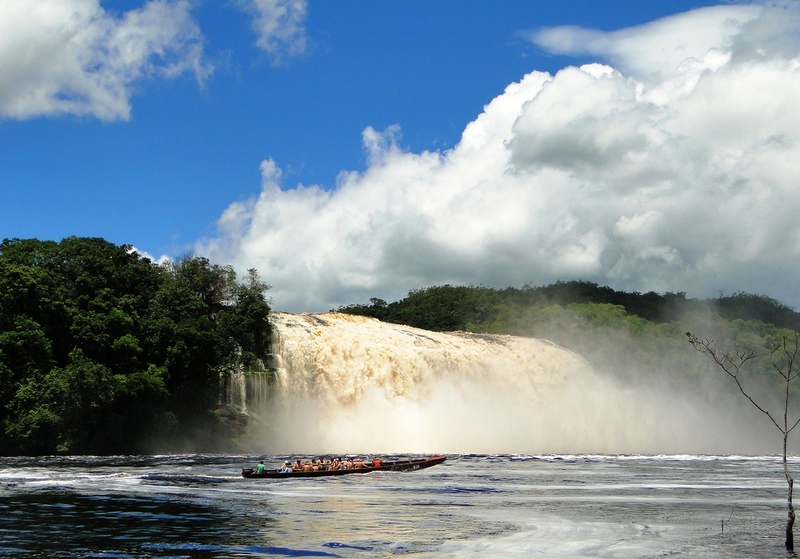 During the excursion by boat over the Canaima lagoon. 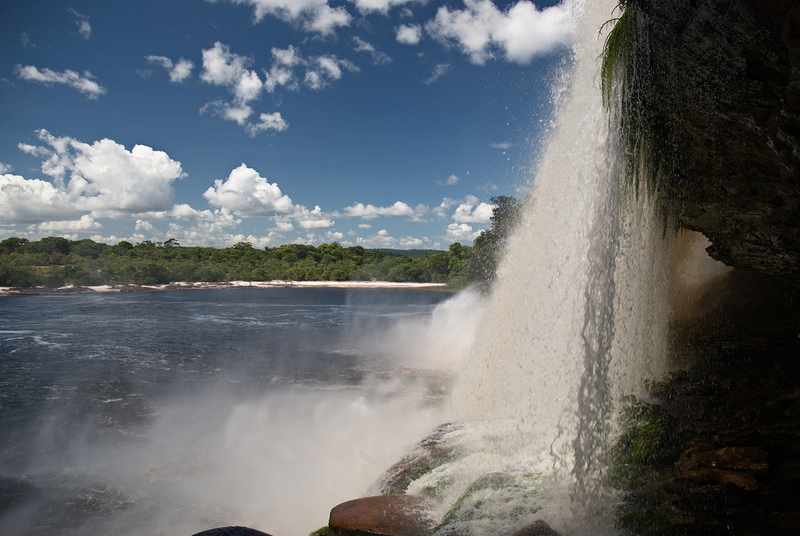 You will walk behind the water masse of Sapo falls and enjoy the over flight of Angel Falls. This tour can be done all year long. 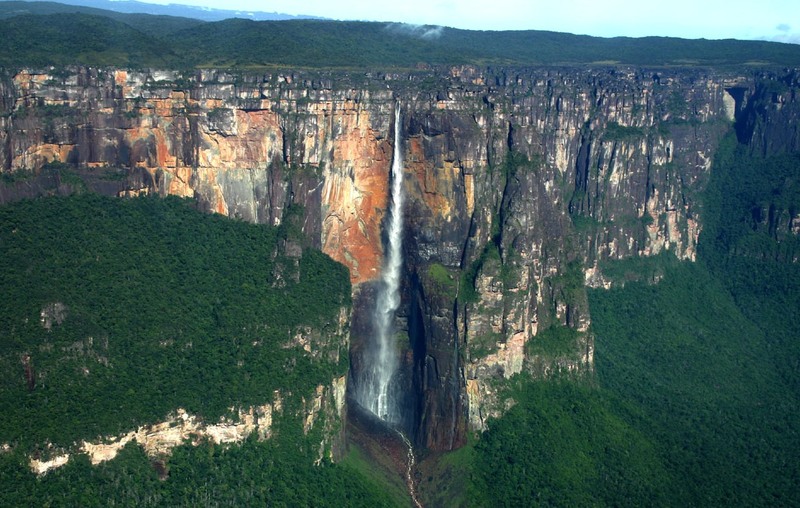 It is a good alternative to the 3 day tour to Angel Falls which can not be done during the dry season, between Dec and June. •	Passport •	Travel pack or backpack •	Insect repellent •	Sun protection •	Hat or cap with neck protection •	Light clothing •	Rain jacket or Poncho •	Swim wear •	Good walking shoes •	Water sandals or Sneakers •	Water bottle 1Ltr. •	Large and small Plastic bags •	Flashlight •	Batteries. 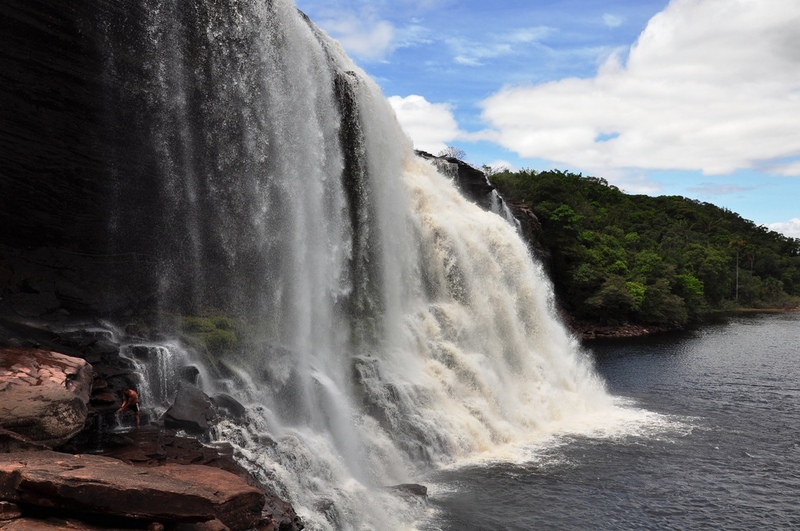 If you wish to continue to Santa instead of returning to Ciudad Bolivar, you plan an additional day to catch the flight to Santa Elena on th 2nd day and combine this tour easily with a tour to the Roraima or the Orinoco Delta. 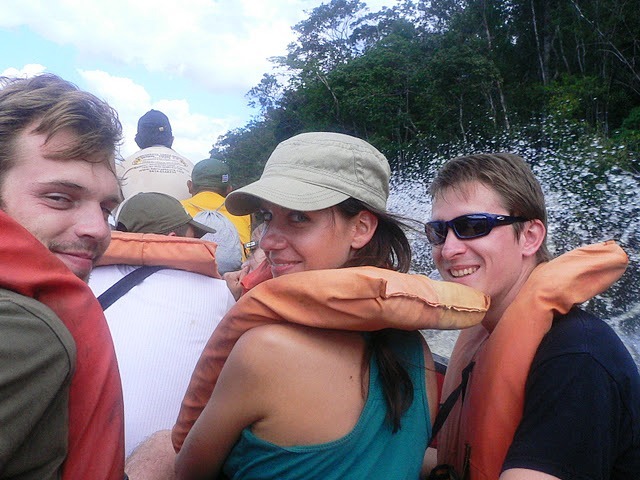 An other option is a day tour to indian Village called Kavac a the south side of Auyantepuy. 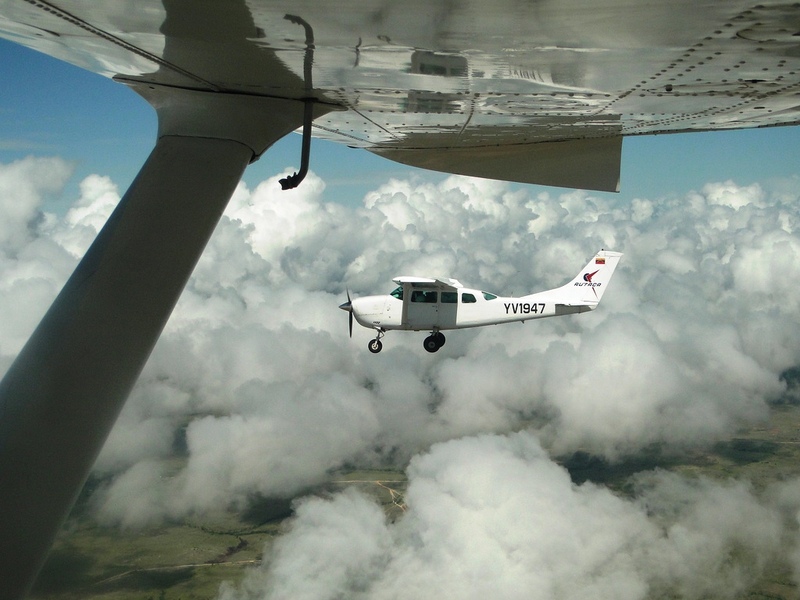 Because of limited space in the small planes the luggage schould not exceed 10 Kg plus a 5 kg handbag. Please pack as small as possible. 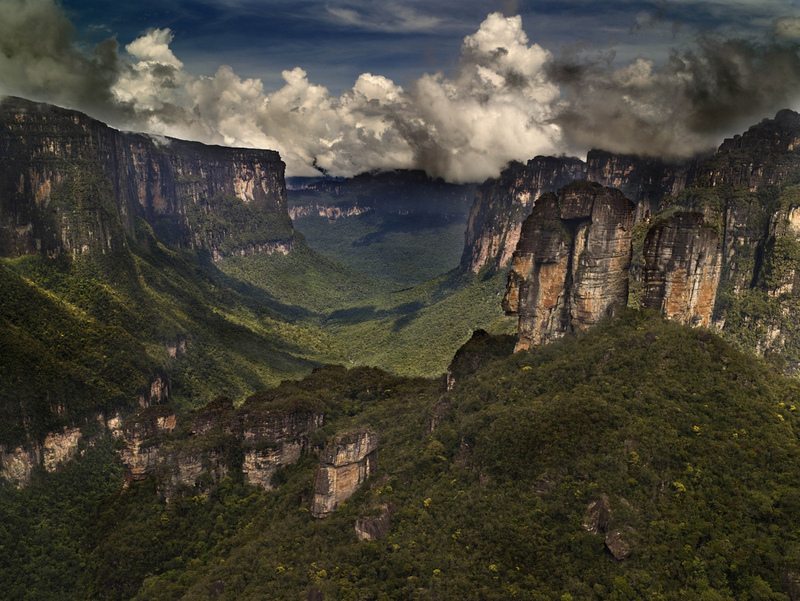 We gladly organize your round trip from Caracas as your wish.